For years, the German car giant BMW has sold millions of their 1, 3, 5 and 7-series cars. Particularly popular with car leasing and contract hire drivers – mainly because they hold their value well – these three models have been the core of the BMW range since the introduction of the 1-series in 2004. BMW are currently in the middle of a major restructure of their range which will see the launch of 2 and 4-series models in 2014. The latest 3-series based coupe and convertible become the 4-series this year while the equivalent replacement 1-series models will transform into the 2-series by the end of this year. The 2-series coupe is available to car lease and contract hire drivers in March and a convertible will be confirmed and shown in either concept or production form at one of the major motor shows before the end of 2014. BMW will also add a convertible 4-series to its line-up this spring. The changes mean that all BMW saloons, estate cars and hatchbacks will have odd-number model designations while coupes and convertibles will have even-number badging. As well as changes to the numbering of their range, BMW has also unveiled two new models: the 2-series Active Tourer and the 4-series Gran Coupe. The 2-series Tourer is a compact premium sporty hatchback to rival the Mercedes-Benz B-Class. Unlike other 2-series models, which are rear-driven, the Active Tourer – based on the platform of the new MINI – is transverse-engined and has front-wheel drive. Both are firsts for BMW, and fly in the face of BMW’s existing commitment to rear wheel drive and a 50:50 weight distribution. 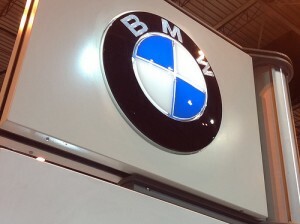 However, BMW is adamant that front-drive will not be a factor for buyers. “The rest of the class is front-wheel drive and we expect 75 per cent of customers for the Active Tourer to be new to BMW, so the driven wheels will not be a factor in the buying decision,” says small cars product manager Alex Morgan. The Active Tourer is set to arrive in the UK in September, three months after the 4-series Gran Coupe. This will be a four-door fastback, similar in concept to, but smaller than, the 6-series of the same name. Before the autumn, however, car leasing customers will have the choice of two further models: the 2-series coupe and 4-series convertible. The UK was the second-largest market in the world for the old 1-series coupe, with 30,000 sold in its lifetime. The 2-series replacement is larger, better-equipped and more practical for a price rise of less than 1 per cent. Britain will also be the joint-third most important market for the convertible 4-series. Again, there are upgrades in usability and specification for a small price increase of between £375 and £495. This entry was posted in Car Updates & Releases, New Cars, Popular Cars and tagged bmw, BMW 1 Series, BMW 2 Series, BMW 3 Series, BMW 4 Series, BMW 5 Series, BMW 6 Series by David Petherick. Bookmark the permalink.